Try this homemade crispy and HOT Nashville style Chicken in a burger! 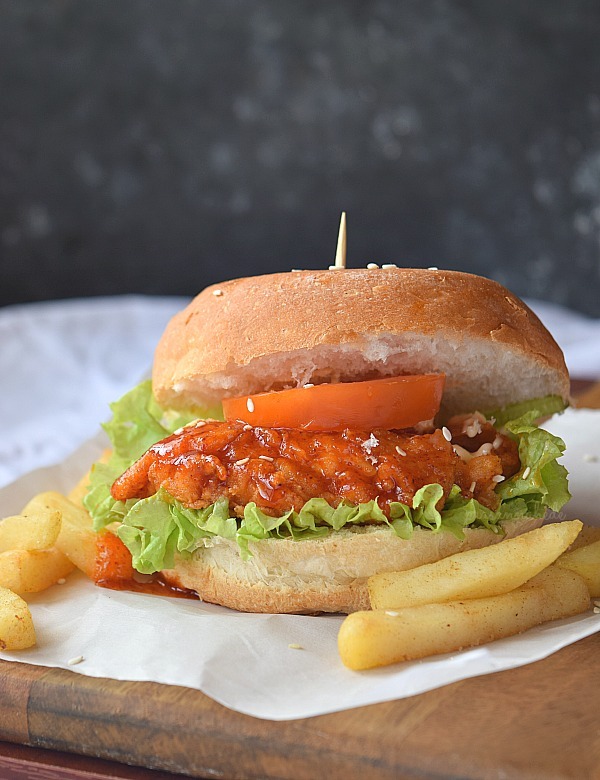 Perfect crispy and HOT and Spicy Nashville style Chicken in a burger! 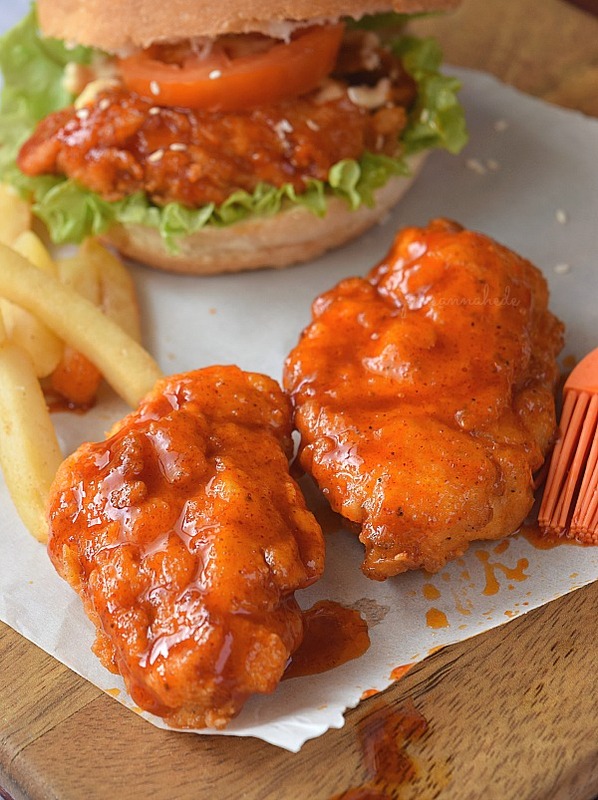 I have never been to Nashville (at-least till now) but hope to visit soon, but I have tasted this Nashville Chicken in KFC outlets. Loved the sauce which was sweet and spicy at the same time and since then I wanted to make it once at home. Finally made this recipe and it's so good! I have no idea how the authentic,real Nashville Hot Chicken would taste but hoping that the way I made based on KFC food taste that I had tasted, it must be doing some justice to the original one. This is super crispy crust,and the sauce is the best part of this dish.Even if you want to skip the sauce but still the fried chicken is too good to resist. 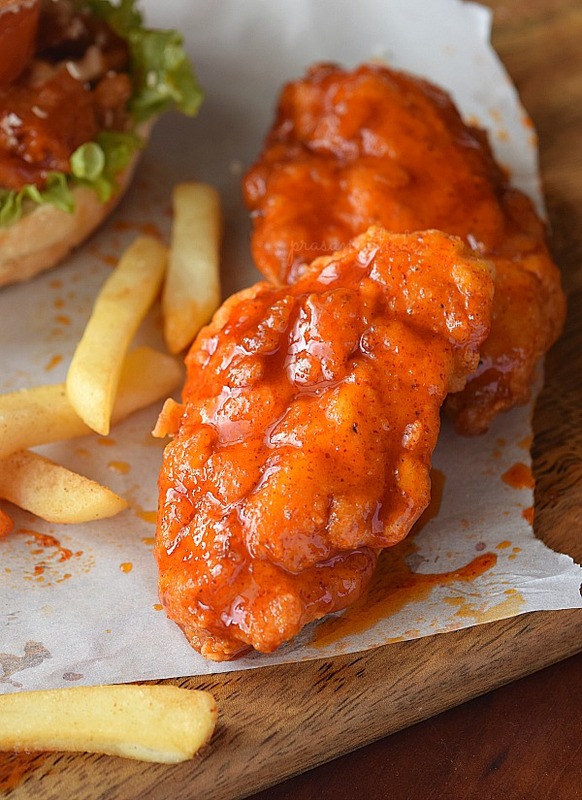 I had served this for lunch and we had an awesome time eating homemade spicy crispy chicken,as kids had the fried chicken without sauce mix and elders had the burger with some extra fried chicken with lot of sauce. Cayenne Pepper: Cayenne Pepper is another important ingredient necessary to get that nice spicy smokey flavor. Brown Sugar: This is needed to give that sweet taste to the chili oil,which we apply on the chicken finally. 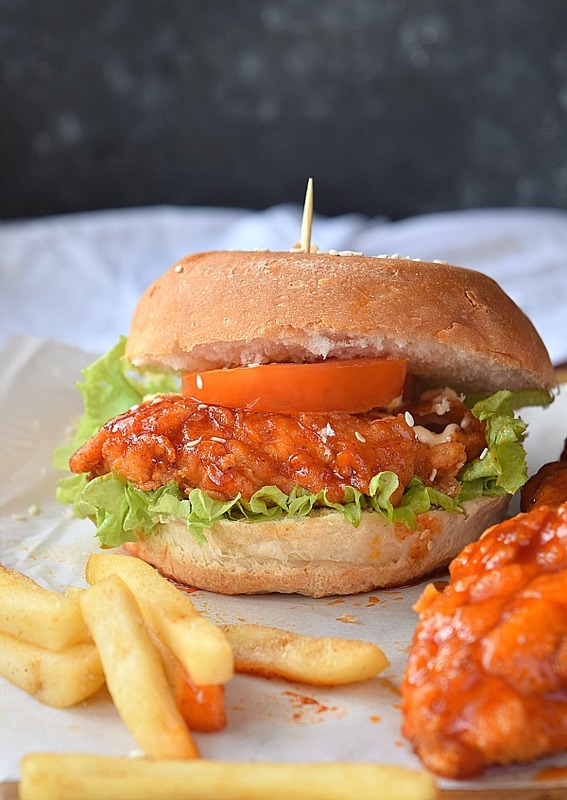 Spicy,Hot Nashville Style Chicken Burger! Marinate the chicken pieces with the ingredients mentioned under marination,refrigerated for at least an hour or too for the chicken to get the flavor. If you are in a hurry then no need to refrigerate the chicken,instead cook the chicken immediately. In a bowl/plate/tray,add the dry mix of spices with flour and keep aside. With the help of a pair of tongs,dredge the chicken pieces in flour then dip them in the marinated mix and again dredge with flour mix. Repeat the for the double flour/spice mix coating for that extra crisp cover. Align all the pieces in a tray and keep aside. In a bowl mix the chili oil mix mentioned and keep aside. Heat oil in a shallow pan,enough to cover the chicken pieces. When the oil is hot ,slowly drop the chicken pieces and cook them till they are golden brown and crisp. With a kitchen brush,apply the chili oil mix to all the chicken pieces. To serve,place lettuce in the burger bun,chicken pieces,onion,tomato ,mayonnaise or any other sauce. This is so delicious. Can't wait!